I love the Fourth of July. But it is not just a three day weekend. It is not just a day off. A day to go to the lake. A day to barbecue. It is not just a day at all. It is a symbol. A symbol of everything we have. A symbol of the Freedom we enjoy. The freedom to choose our own path. Our own work. Our own religion. Freedom from tyranny and oppression. From injustice. It is a symbol of our Opportunity. Our opportunity to work for ourselves. For our families. Our opportunity to believe what we want. To be who we are. To become who we dream. It is also symbol of our Responsibility. Our responsibility to do our part. To answer the call if it comes. To participate in the process. To vote. To engage. To be neighbors. To allow others the freedoms we enjoy. It is not just a three day weekend. It is not just a day. 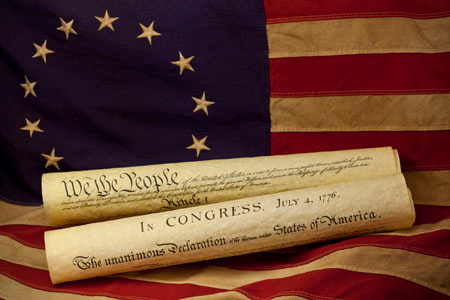 It is our Independence Day. It is who We are. I love the Fourth of July for everything that it represents. The same characteristics are why I love working in a start up. To me, it is not just a job. It is not just a paycheck. It is not just work. It is something more. It is Freedom. Freedom to create new things. New products, new services, new experiences. It is the freedom to have a vision and make it real. The freedom to create our own path. It is the freedom to bring our real selves to work. To be who we are. It is also an Opportunity. An opportunity to build products that change the world. An opportunity to see our best be challenged. An opportunity to grow. As individuals. As a team. It is an opportunity to create a legacy with our work. To create our marks professionally. But with these bring Responsibility. Our responsibility to give 100%. To speak up. To accept the challenge and rise to the occasion. And then push further. It is our responsibility to not accept good. To not accept satisfied. It is our responsibility to want more and to want better for our customers, for our teams, for ourselves. It is our responsibility to make it happen. To make the most of this moment. To earn it every day. It is not just a job. It is our company. I hope you all enjoy the Fourth of July and take a moment to reflect on the Freedom, Opportunity and Responsibility this day, this symbol, represents.